For many people in need of a bit of quick cash, car title loans are the perfect way to go. A title or personal loan is a great way to get a quick bit of financial flexibility. At Easy Title Loans, we’re here to get you the best rates and the most hassle-free access to this quick relief. At the same time, we have to caution our clients against rash decisions – there are a few big mistakes you can make in the title loan game which can turn out very badly for your finances. Let’s look at a few of the most common. It sounds obvious, but many folks simply don’t think a title loan situation through before entering into one. Some simply assume they’ll have more money later on, but don’t really think about how that will ever happen. In some other situations, borrowers are lured in to a ridiculously high interest situation which makes repayment very difficult. Pay attention to exactly the deal you’re entering, and don’t bite off more than you can chew – remember that your vehicle is up for collateral here, and you could lose it if you can’t repay the loan in time. It may seem simple to take out a second title loan to repay the first if the deadline is coming up, but this is a vicious and eventually painful cycle. Before long, you’ll have multiple lenders blowing up your phone and knocking on your door. Many people who attempt to pay loans using other loans quickly end up in bankruptcy. With car title loans, only ever take out one at a time. Many people do very little research with a title loan, simply looking for that quick cash. This can be a huge mistake – as we mentioned above, you could get duped into a huge interest situation, or something similar. Different states have different laws for title loans, and you need to be up to speed on these. Most of all, you need to research reputable vendors and favor their services wherever possible. We’re one of these at Easy Title Loans, and we’re here to serve all your title loan needs. Speak to one of our brokers today to learn more. For people in need of brief financial assistance or quick cash for an emergency, a car title loan is a great option. At Loans for Less, we’re here to help you capitalize on any equity you may have in your car to get you a great rate to help boost your financial flexibility. Title loans are much easier and simpler than many other types of loan, but this doesn’t mean there aren’t still several things to keep in mind and be diligent about. 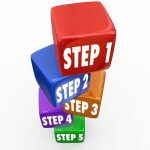 Let’s look at a few basics to be aware of before you begin the process. When you receive a title loan, you’re borrowing against the value of your car. As long as you owe less on the car than its current value, you have equity in the car which you can capitalize on for the loan. It stands to reason, then, that the condition of your car will matter a great deal. The better it is, the more your car is worth and the more you can likely get back in a title loan. Keep in mind that while several details of title loans are indeed much simpler than most other loans, there are trade-offs. Title loans have much shorter repayment periods, so you won’t have as much time to recoup the money – which is fine in most cases when you’re just using it for an emergency or brief financial flexibility. It’s still good to remain aware, though. You can only take out a title loan on a vehicle if you are the clear and clean titleholder for that vehicle. If you still owe too much money on the car and the title remains in the name of your original lender, there’s a chance you won’t be eligible. There are practices in place for if you’re unable to repay the money in the short window, and this is called rollover. The debt is carried forward to a future date, but again, there’s a trade-off here: Your interest rate will increase every time you have to roll a title loan debt over. Make sure you’ve planned out your finances well enough to avoid any crippling recurrences here. Want to learn more about this or any of our personal loan programs? Speak to one of our brokers at Loans for Less today. Collateral in any loan is simply what you promise to give the lender if you end up unable to pay back the terms of your loan. In the case of car title loans, the vehicle is the collateral. 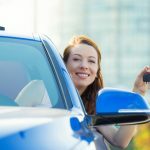 Now, because of the relative ease in locating a car – it’s not like you’re going to hide it under the bed – this usually doesn’t mean you have to actually give up your car to your lender the moment you take out your loan. Some lenders may install GPS systems or other ways of tracking, but even this is rare. Normally, you’re simply at risk of having to give up your car only if you fail to repay your loan appropriately. A lien is the legal document that makes the collateral the property of the lender. Effectively, the lender owns our car until you pay off the loan – though again, you’ll almost always be allowed to continue driving it. 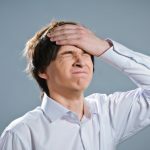 Defaulting on a loan means you broke the loan agreement: You skipped or were very late on a payment, or you simply stopped paying altogether. This is a bad word to be hearing if you’ve taken out a title loan, or any loan. The principal is simply the original amount you borrowed from your lender, not including any interest or fees. Interest is the amount of extra money it costs you to borrow this money. Interest is determined by either annual percentage rate (APR) or, in cases where your term is shorter, monthly interest rate. Balloon payments are made at the end of the loan term, and can be larger because they’re comprised of both your remaining interest and your principal loan amount. In some payment structures, you can avoid balloon payments with proper planning. Rolling over involves taking another month on your loan after the original period. Most lenders are happy to restructure loans like this, though some will place a limit on how many times you can do it. Got the basics and ready to learn more? Our brokers at Loans for Less are standing by. When applying for a car title loan, the quality level of your vehicle is a very important factor. 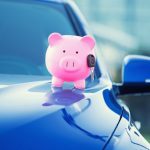 You’re borrowing money using your car as collateral against the loan, so every dollar of extra value on the vehicle is another dollar you might be able to get in your loan. There are certainly other factors involved in this process, but the value of your car is one you have a good amount of control over. Here are a few tips for maximizing the value of your car before putting it up for a title loan. Keeping your car up to date on repairs and maintenance is important for all vehicle owners, but especially for those looking to keep the car’s value high. Trade-in values often reflect the higher end of the pricing spectrum for any repairs you’ve left unfinished, and there’s a good chance you’re lowering the value of the car by leaving them. If you or anyone you’re close with is capable of making some of the repairs, that’s a great option to reduce your costs. Down similar lines, a trusted mechanic can be hard to find, but hold onto them when you do – a good deal here or there could go a long way to determining whether you’re in the red or the black when it’s all said and done. Right or wrong, the appearance of a car has significant weight during the trade-in or title loan negotiation process. Body work like dent fill-ins and the like should be fully completed, and it’s never a bad thing if you get a chance to polish both the interior and exterior of the car. First impressions go a long way, as they say. It’s common for people to neglect their tires as part of the resale process since many consider them separate or less important, but this is a mistake. Just like regular maintenance issues, most lenders will generally default to the higher end of the pricing structure for any repairs they have to make, so if you can get this done yourself (especially if it’s for a relatively fair price), you’re likely to come out on top. Perhaps most importantly, being able to show proof of your upkeep on your car is a huge deal. 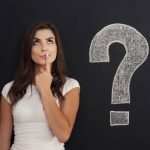 Uncertainty can cause lenders to lower the return price on the car, but there can be no confusion if you have documented records of all service completed. Want to know more about increasing car value, or any element of car title loans? At Loans for Less, our lending is fair and keeps your individual situation as the top priority. Contact us today. There are many ways to get money quickly when you’re in a bind, but perhaps the simplest is using a personal or signature loan. These require no collateral, typically have low interest rates, and can be completed quickly to get you the cash you need. For signature loans, the name is the reality – all you need to get your cash is a signature. At Loans for Less, we offer a full range of personal and signature loans for people who need quick cash. 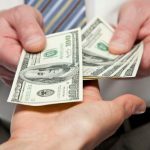 What are the specific benefits of a personal or signature cash loan? Let’s take a look. 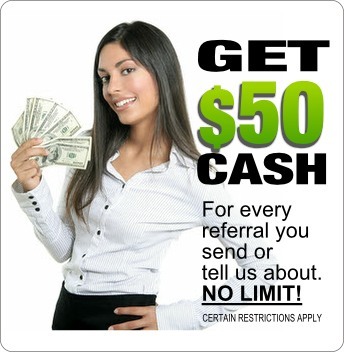 Signature loans and personal loans are meant to get you some quick cash with as little hassle as possible. 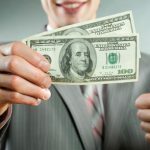 You’re not putting up your car, your house or any other collateral, and there’s no requirement for how you spend the money you receive – you have complete control over how it’s put to use. Personal and signature loans do require solid credit since there’s no collateral involved, but those who qualify are opened up to a new layer of temporary financial freedom. These loans can allow you to clear some debt, make a large but necessary purchase, or make a one-time emergency payment. Because there’s no collateral and these loans are based on credit alone, interest rates are generally far lower than other kinds of loans. Their terms are usually shorter, which means your monthly payments might be higher than other kinds of loans, but you won’t be forking over tons of extra interest to get the cash you need. Perhaps even more importantly for people who struggle with finances, most personal and signature loans come at fixed interest rates. This means your rate can’t change regardless of how much you spend or repay on the loan, a very big deal for some people who can’t afford any month-to-month variability in their spending habits. In many cases, a personal or signature loan can actually improve your credit. Interest rates on these loans are often lower than most credit cards, and people who have run up a high credit bill from one or two large bulk purchases can use personal loans as a way to increase the amount of credit they have available. Because credit utilization is such a big part of what goes into your credit score, this can help the score go up in many cases. To know more, or you are interested in a personal, signature or car title loan contact Loans for Less today, where our friendly and professional staff are standing by to assist you.